This is a Gorgeous Hand Selected Jewelry/Investment Grade Natural Alaska Gold Nugget. It was recovered from a river in Alaska. 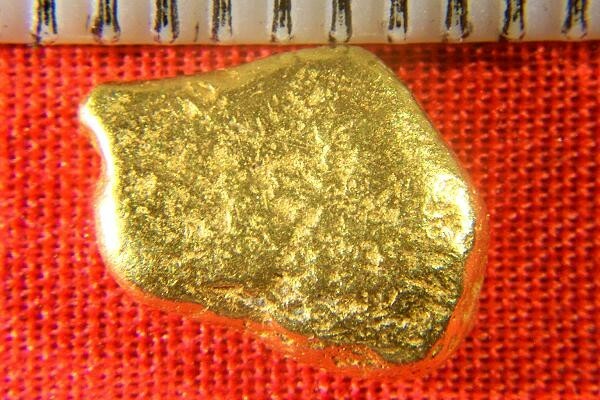 The weight of this golden beauty is 2.9 Grams (44.7 Grains). It measures in at 1/2" long, (12 mm), and it is thin and flat and has a lot of surface area for the weight, perfect for jewelry, investment or display. 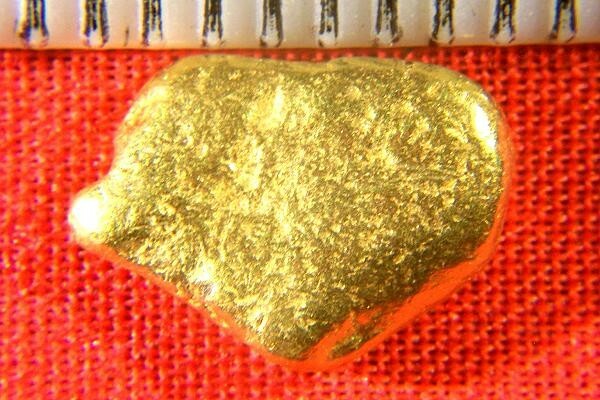 Investors, jewelers and collectors love this type of high quality Alaskan Natural Gold Nugget. You will too. It comes with a certificate of authenitcity.